On the eve of Planet Gong's scheduled European tour through March to April, 1978, archastral projectionist, Dingbat Alien was allegedly assailed by dark forces set loose in the here and now. The doors of perception stood ajar but Alien's free pass was permanently revoked. "I couldn't actually get on stage. It was as though there was a an invisible curtain of force that was stopping me from going through the door. I threw myself at the open door and bounced back, off nothing. And this blew my mind so thoroughly that i just ran out of the theatre into the rain and started hitch hiking on the road with all my clothes, my stage clothes, my costume and face painted with fluorescent colours. And then a woman looked at me so strangely that i started thinking i was a murderer and i was hiding in the bushes. Finally i got picked up by somebody who had left the concert and was taken home, and then i had to realise that i had to leave gong, so that's the way it all ended." The non event in Cheltenham - a centre of healing since mineral springs were discovered there in 1716 - marked the unforseen end of a chapter. Without fanfare, the alliance forged between Gong and Here & Now simply ceased to exist. In the material world, at any rate. Allen decreed the band were free to continue to traffic as Planet Gong, but collectively Kif Kif, Steffe, Keith the Bass and singers Ano and Suze da Blooze elected to return the name first assumed squatting in Ladbroke Grove in 1974. Reclaiming the moment, regrouping and scouting Deptford Fun City for props. Capitalizing - in the kindest sense only - on their sharing the bill with Captain Beefheart at the Paris Hippodrome a year earlier, and the subsequent release of "Live Floating Anarchy 1977", Here & Now embarked on a free tour with Mark Perry's Alternative TV. Falling into loose formation with Mark E. Smith and small wonder, Patrick Fitzgerald along the way. Profit was never on the agenda. 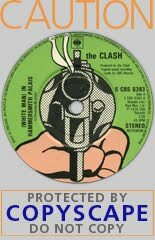 Between March and December, 1978, Here & Now committed to four grueling British free tours, playing several key festivals. Deeply Vale included. 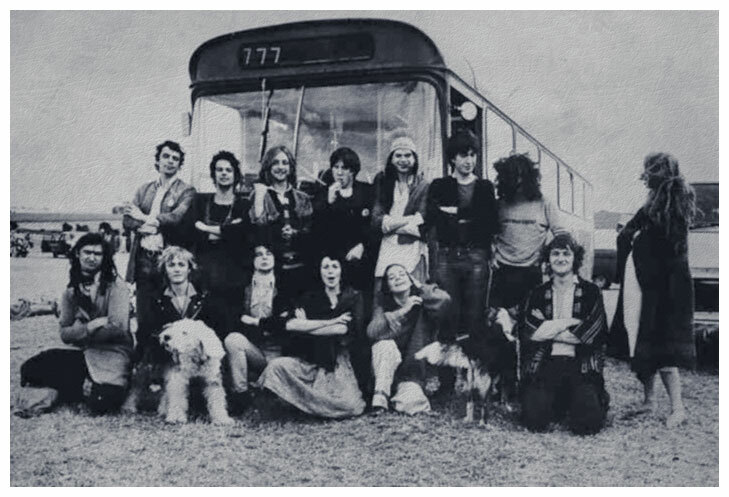 The sleeve to their shared live LP with ATV - "What You See... Is What You Are" - poses the family collective in front of their converted bus, No. 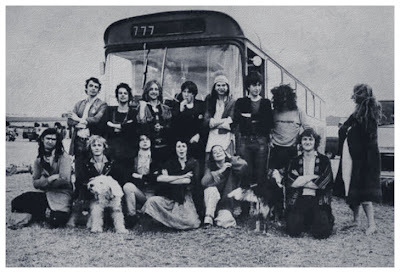 777, a motley tribe harking back to Ken Kesey's Merry Pranksters and the Incredible String Band of "The Hangman's Beautiful Daughter". Only Mark P. vents ambivalence. Stuffing his fingers into his mouth. A half-baked pantomime of self-induced vomitting. Or merely scoring a jacket potato. Frank Honest documents in his rediscovered "Gospel of the Free" that Deptford Fun City successfully sabotaged the first 1,000 pressings of the Here & Now / ATV joint venture; ensuring that the Ladbroke Grove side hit point of sale recorded backwards. My own heftily discounted vinyl copy - £1.75 - clearly left the factory after the jest was put right. Like their tour bus, though, it has not survived. Inveterate nostalgics may redress a similar loss in full by hyperlinking promptly to kill your pet puppy. "It's not surprising that the details of that year are rather blurred. Not surprising really that, on the mid-winter solstice, on the way back in to London after the last gig of the last tour of 1978, our new bus broke down. But completely. The crankshaft had snapped from the strain." "...thus endeth the Gospel of Free according to Frank Honest", and thus endeth a minor sin of omission. The Charly Records EP - released, I believe, in 1979, after "What You See... is What You Are" can be found on the 1996 French Spalax CD reissue of "Give and Take" with two other bonus tracks: "End of the Beginning" and "Choke a Kola". Nice post - thanks, ib! Nobody went hippy like the English. You could be right. Don't forget, though, that some of the craziest were Scots. Mind you. Reflecting on it, I will concede that many of them were none too hot on giving it away for free. Well. I dare say living on a bus had its limitations, even though it must have been a good deal cheaper to run back then. I have no idea what the costs involved might have been. If only there were some kind of company around these days to do a price comparison, eh ? There was a tv series back in the early 70s about a bunch of kids living on a double decker bus. It was hopelessly romanticised, of course. Like Huckleberry Finn for Londoners. 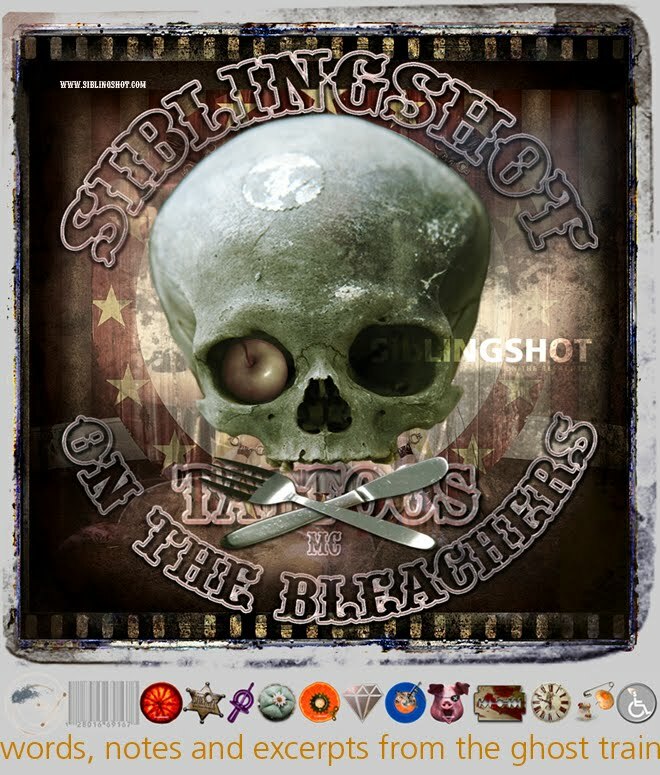 NB: I do not post @320 rips of CDs re-issued by the band; only out of print recordings, bootlegs or vinyl rips - buy the CDs and support the band! Cheers, Dave Sez. Check the comments for updates, and leave a comment to any of my megaposts for contact. Inbound marketing is the leading marketing trend. Inbound marketing is more effective than outbound marketing. Inbound marketing is time consuming and can give you a effective marketing at the low cost.